First off, I bought the latest issue of Saga, which was not really a new comic, but the price dropped on Comixology, so I purchased it! And then wrote about it, along with the previous two issues, here! 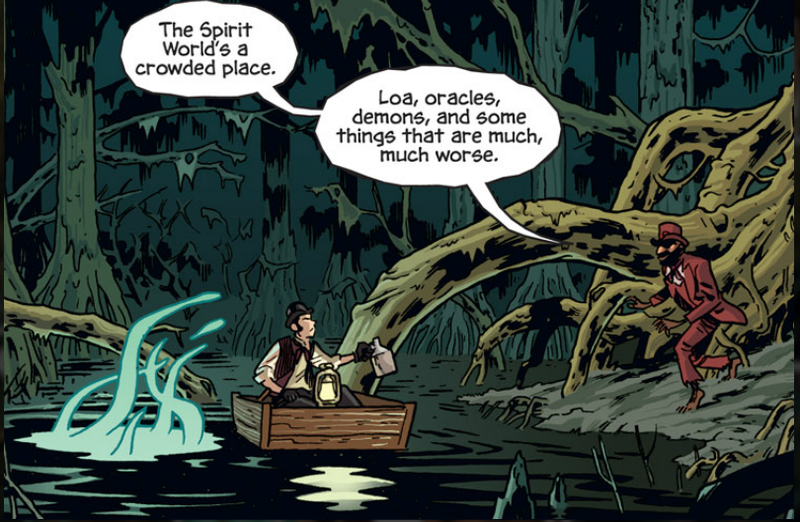 But on it’s own, issue six is a nice bridge from the world building that’s been going on into UNIVERSE building. 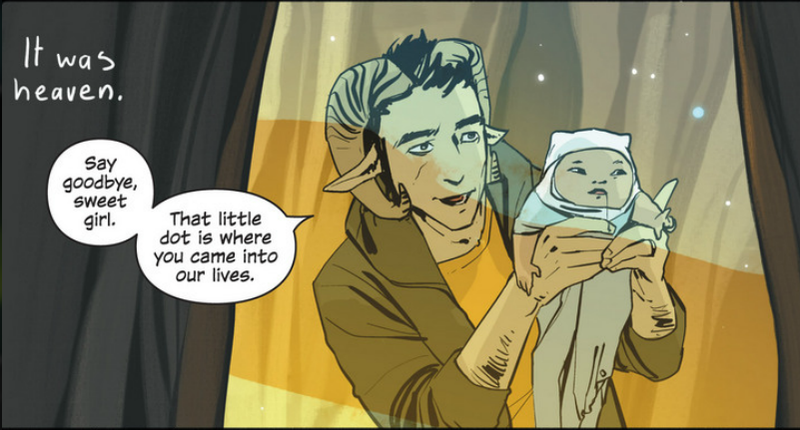 Here’s a shot of Hazel, Saga’s narrator, and a character I completely forgot to mention in this week’s review. She’s still a baby as far as the story goes, her future self jumping in with some poignant narration from time to time. I also purchased Revival #2. Damn, that’s creepy. Seeley and Norton are bringin’ it. I’m upping my recommendation from READ THIS COMIC to…READ THIS COMIC HOLY CRAP GO DO IT! I might say that I’m more suggestible towards a horror comic at this point due to the Fall season, but really, I will read and/or watch horror at any time of the year. I’ll just get to drink a pumpkin beer while reading these initial issues. This also recently dropped to $1.99 on Comixology. Allegedly the physical issues are selling out and hard to find so collectors are upping the price on eBay. F that noise…either wait for the trade paperback or buy the digital version. It’s a great story, but there’s no reason to overpay for it. 1) The second volume keeps up the energetic pace of the first while still balancing the horror and western genres. Even without the sale on I would be chomping at the bit (look at that bit, it’s practically chomped to nothing!) to buy more of this comic. Cullen Bunn and Brian Hurtt are doing an amazing job with this book. Again seriously, drop everything and read this. Also, this volume contains Voodoo (the dark magic, not the crappy 90’s comic book character), as well as possibly werewolves. I say “possibly,” cause werewolves are mentioned, but then so are skin-changers. And the guys in this volume look a bit more like bearded skin-changers. Really, all three of the books I bought this week are exciting examples of what can be done with the comic book medium, and all three are owned by their creators. So buy them, read some good comics, and support some talented artists. Monks with guns? I approve, but then perhaps I’m biased… Keep the Western suggestions coming! Always on the hunt for more of them. I just did in another horror western post!